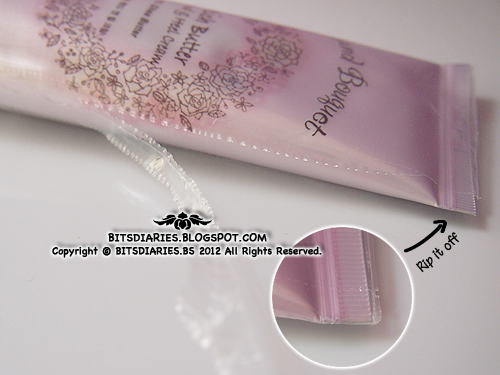 The product is well-wrapped with plastic sheet/wrapper? (whatever it's called...) and you can simply rip it off. 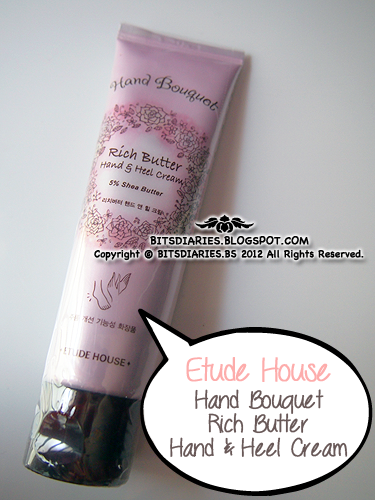 It comes in a greyish-pink squeezable tube with floral prints on it which makes it looks quite feminine. 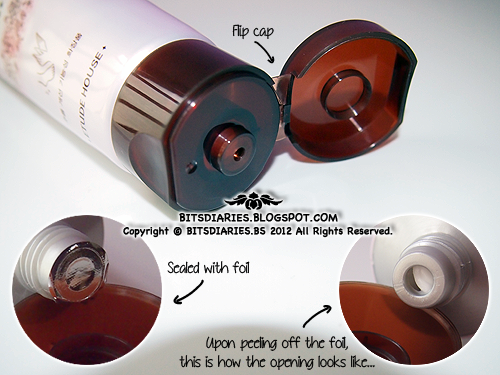 Comes with a plastic twist-off screw flip cap and the opening is perfectly sealed with foil. 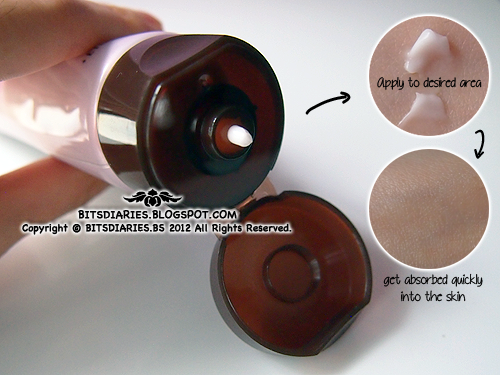 The milk-colored cream looks quite heavy when it first got squeezed out from the tube however, when I massage it on my skin, the consistency is actually light and creamy. It get absorbed into the skin within a few minutes without leaving a sticky or greasy layer.